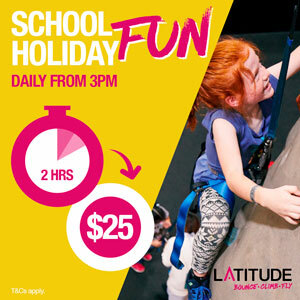 If you are a Mum, Dad or carer of multiples or perhaps a baby and toddler who are very close in age, you will most likely be happy to find a playground with a double toddler swing so you can push both your kids together at the same time. They are not easy to find, but a lovely mother of twins asked us to put a list together, so we have been keeping an eye out and have put together the list below. 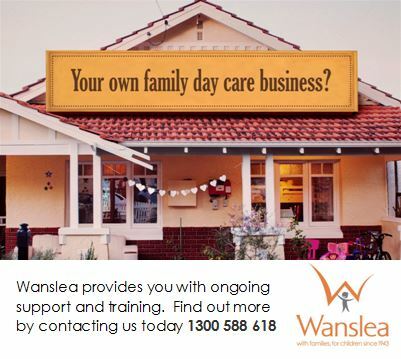 If you see one, even if it is at a small playground, please let us know by contacting us, it would be much appreciated by the many parents of multiples and young kids close in age out there. Large pirate themed playground that is fully fenced too (just mind the gap under the fence in parts) with a double toddler swing. 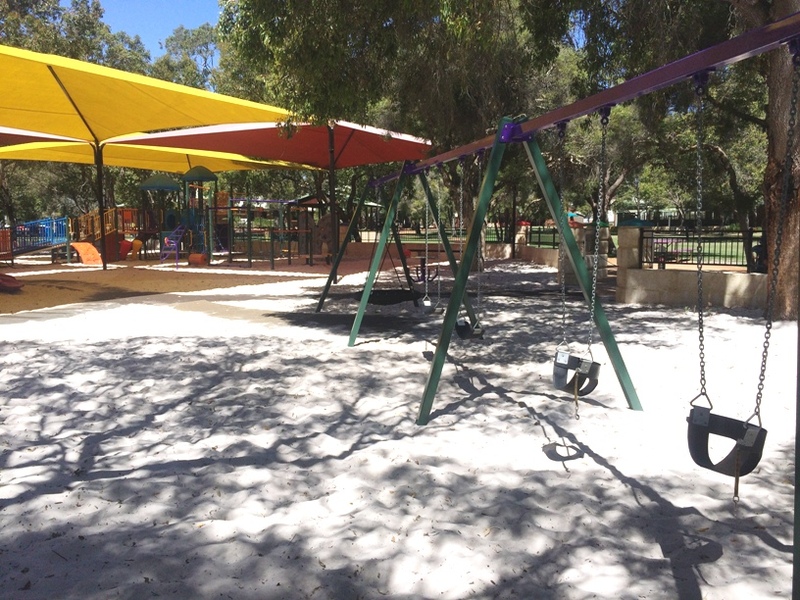 Kwinana Adventure Playground in Calista is a massive playground with splash pad that runs all year round, tree walk and not one but two sets of double toddler swings. 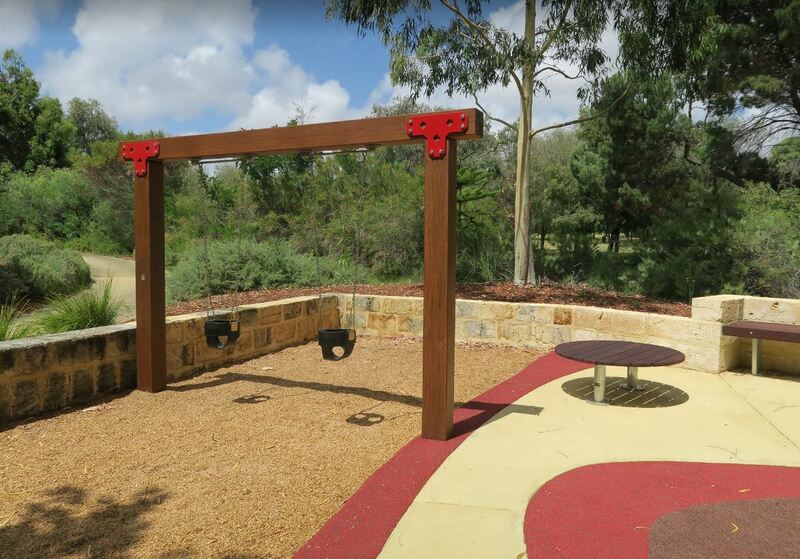 Annies Landing Ellenbrook features a great little toddler play area that features a double toddler swing. Another one that lacks shade though in the middle of the day. 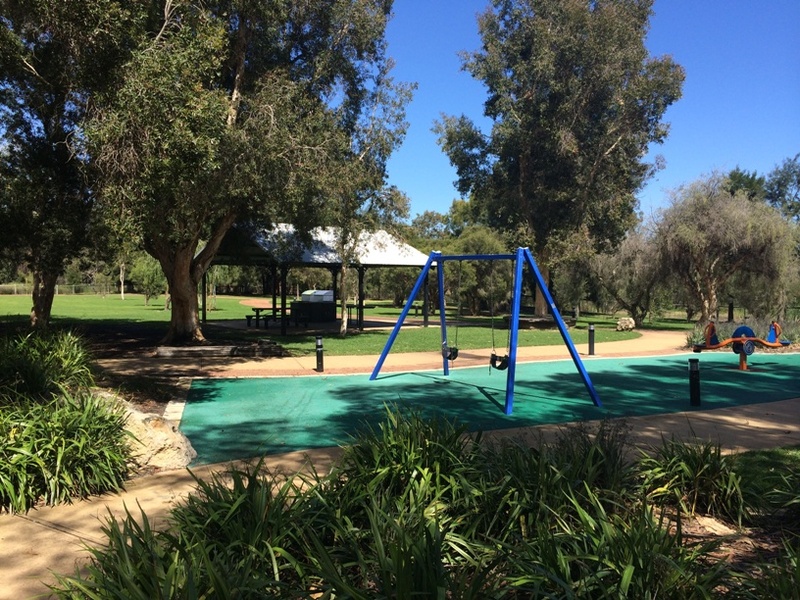 A popular park with toddlers, Bayswater Riverside Garden is fully fenced has great shade over the main playground and also has a double toddler swing. Lovely spot for a splash in the river, with Cool Breeze Cafe (mobile coffee caravan) set up here in the warmer months. 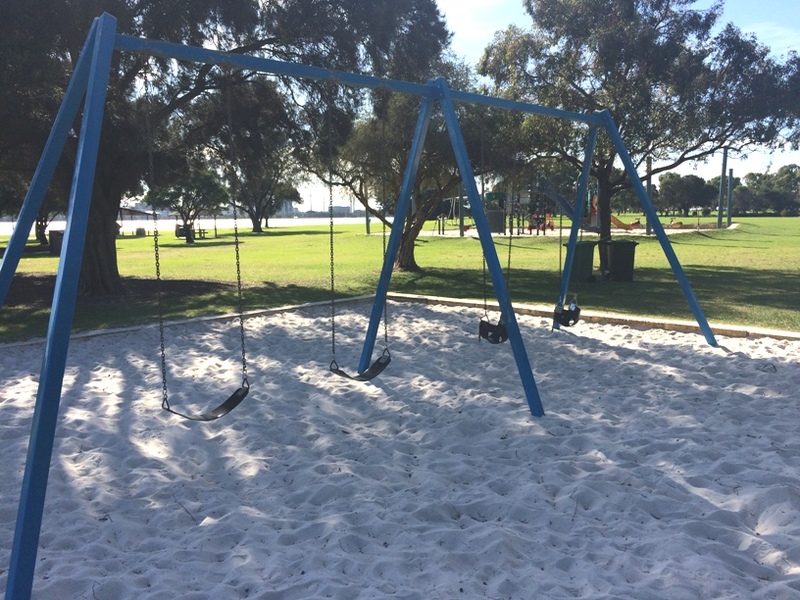 Lovely park alongside the South Perth Foreshore with well shaded double toddler swing. The Boatshed Cafe is nearby too. 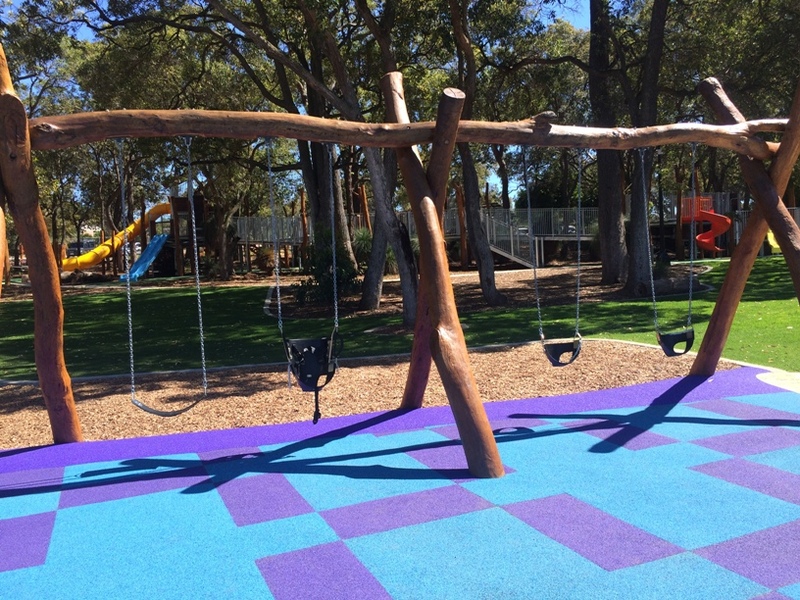 Ivey Watson Playground in Kings Park has been designed for kids under 6 and is mostly fenced. It features lots of grassed area for picnics or you can grab something from Sticky Beaks Cafe located here. 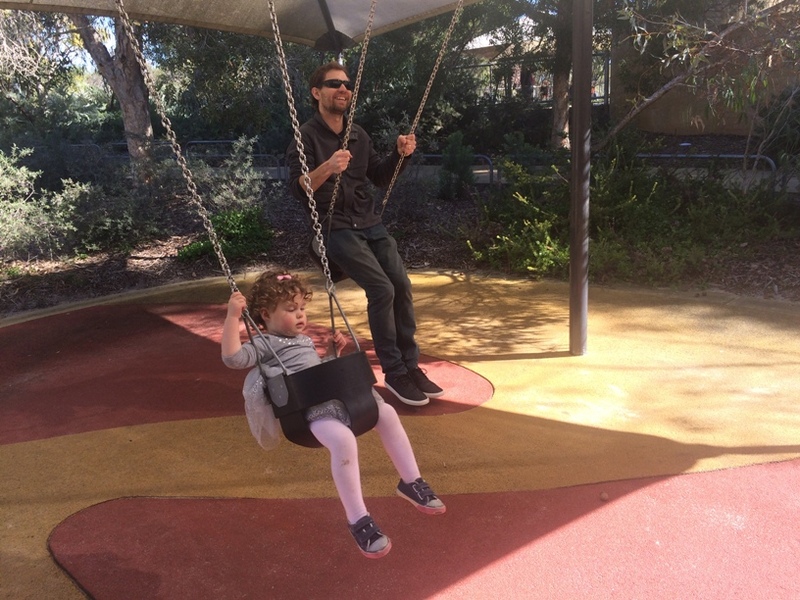 It also features a double toddler swing (my brother the big toddler is pictured right). 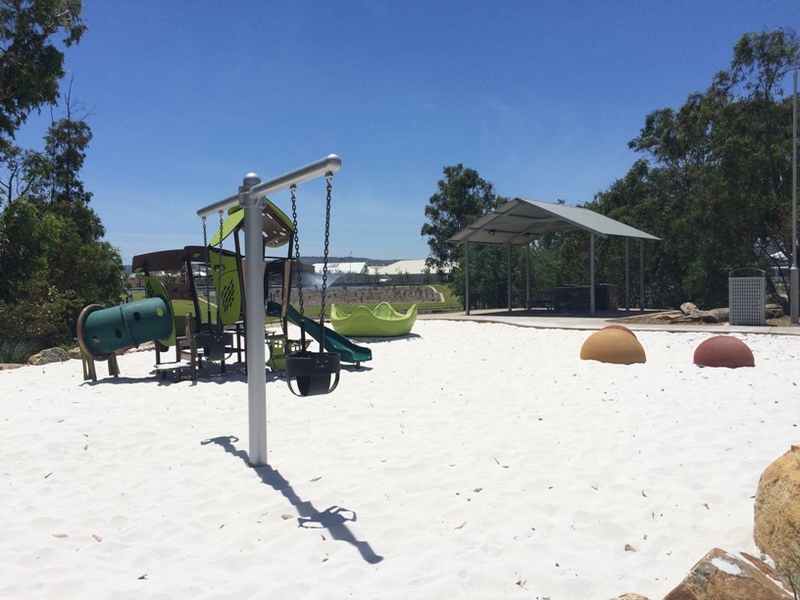 Rotary Park Wanneroo is a big adventure playground with something for all ages. 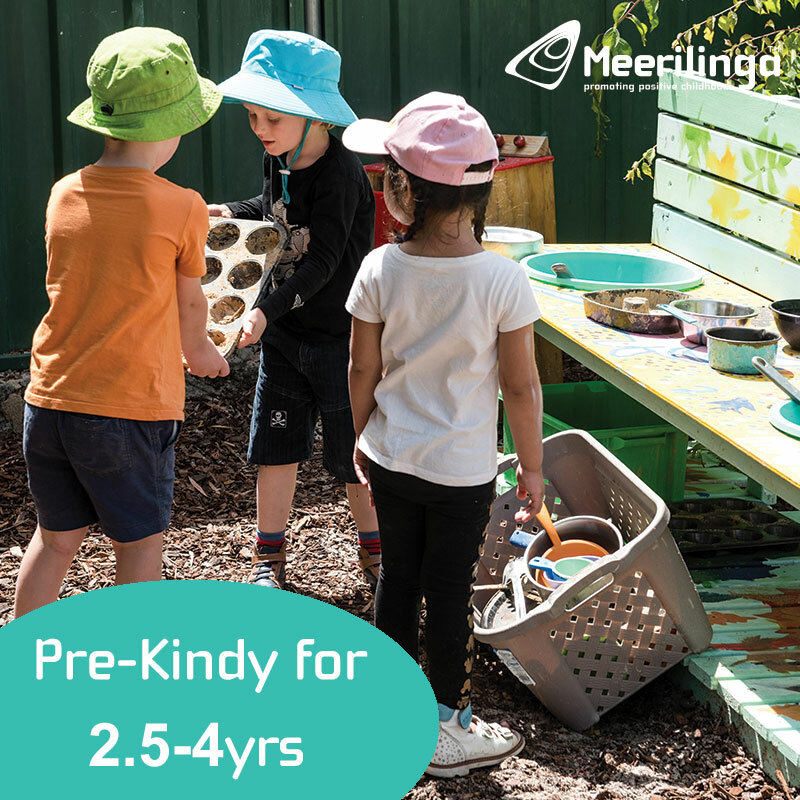 It features a double toddler swing as well as two birds nest swings also and lots of other senory play for toddlers, including sand play and musical play. 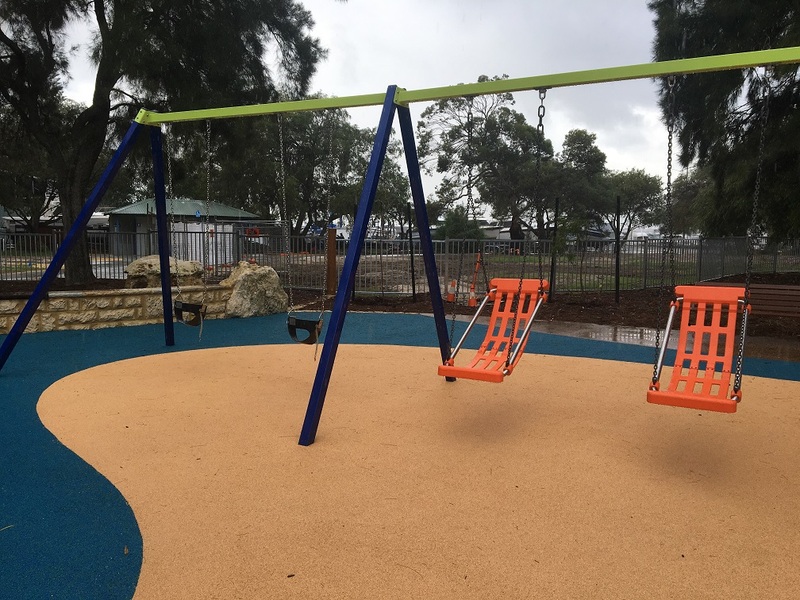 Whiteman Park playground was upgraded with all new equipment in 2016, that includes a set of double toddler swings. 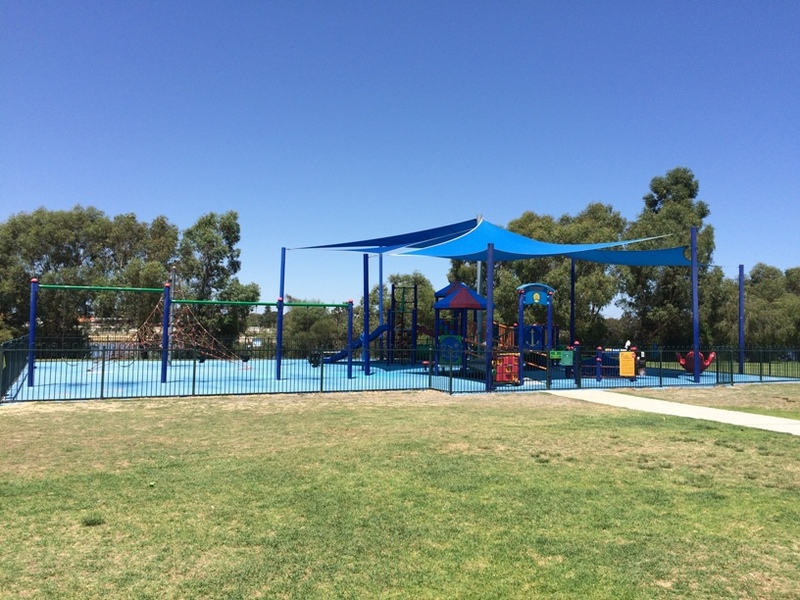 The playground is well shaded, mostly fenced (except for the entrance) and is located in The Village centre at Whiteman Park, which is the perfect place to explore and play the day away. Double toddler swings, plus hammock swings as well as a parent/child and toddler facing swing at this fenced all abilities playground. 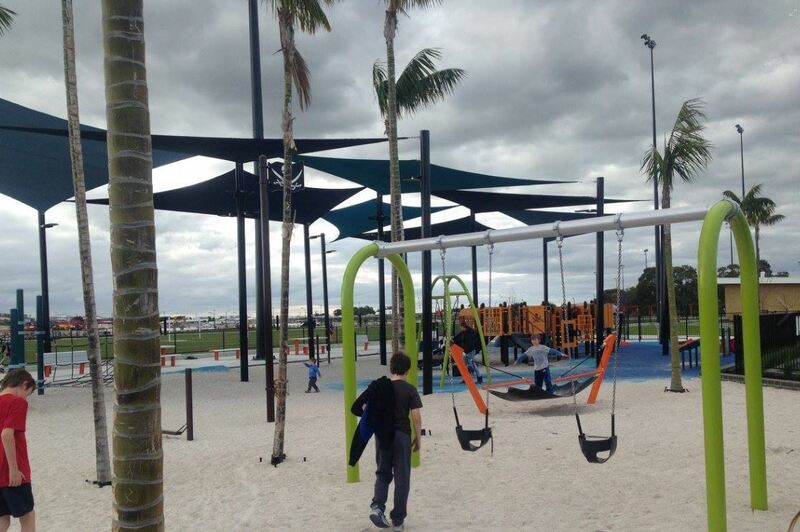 Double toddler swings included in the swing area upgrade to this playground in Dec 2016. Park upgrades ongoing until April 2017 - see review for details. 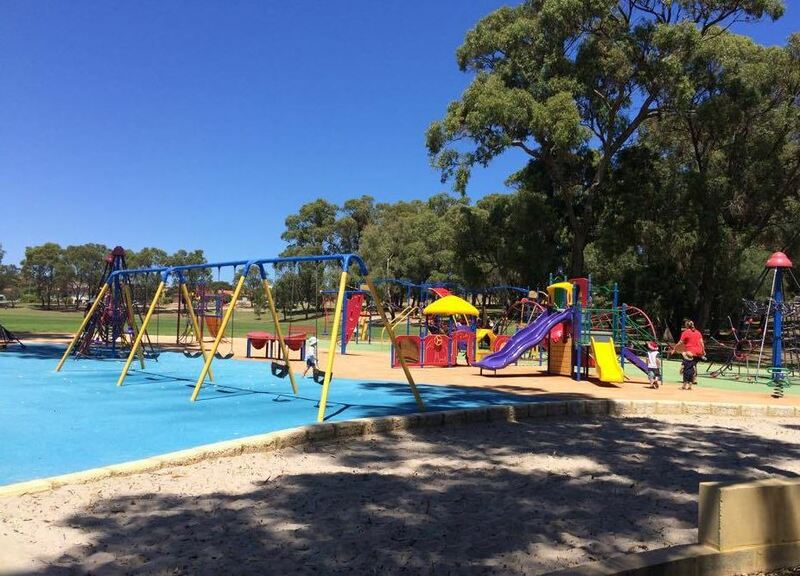 Stirk Park Kalamunda has also been suggested by our readers as a playground with Double Toddler Swings. We hope this list helps parents and carers of multiples and babies and toddlers close in age to find a playground with double toddler swings the whole family can enjoy. If you know of one, even if it's a small playground, no on the list please let us know but contacting us.